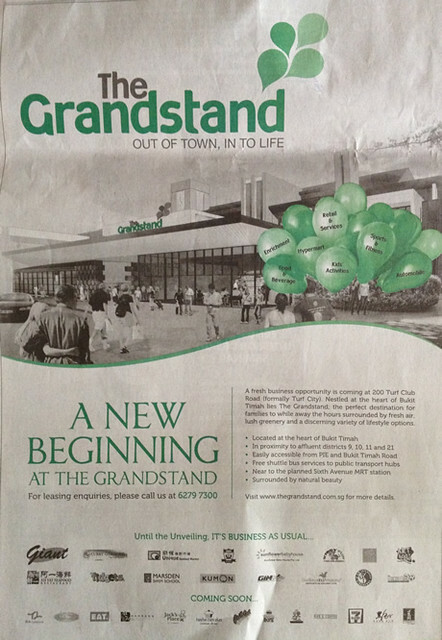 Saw in the newspapers that the old Turf Club will be given a new life again. Don’t really like to go there, perhaps it’s quite a mess there. Having stayed in this area for years, we probably only go there 3-4 times a year. Let’s see if The Grandstand will perform better than Turf City.